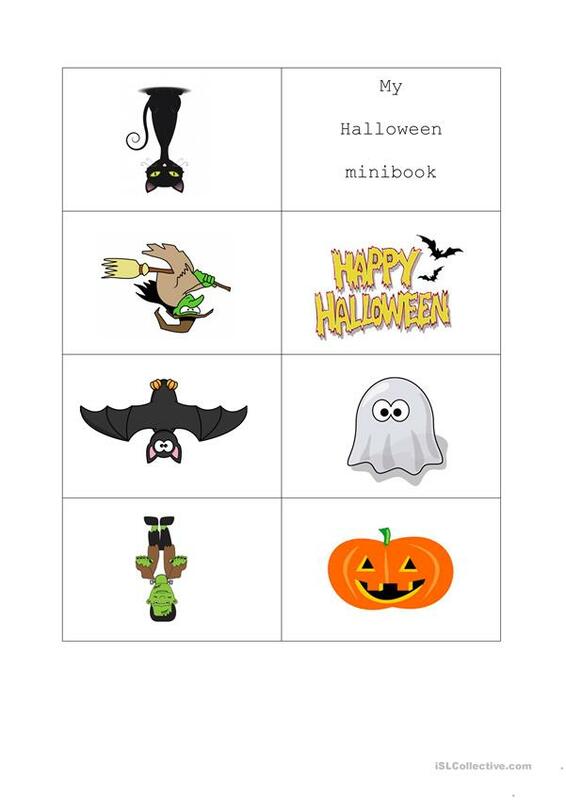 Minibook with basic Halloween vocabulary. Suitable for young learners. Search youtube, please, if you are not sure how to make a minibook. It is simple, you just need a pair of scissors. The above printable, downloadable handout is a great resource for elementary school students and kindergartners and nursery school students at Beginner (pre-A1) level. It focuses on the vocabulary topic of Halloween. MisaKrizova is from/lives in Czech Republic and has been a member of iSLCollective since 2012-09-19 07:39:57. MisaKrizova last logged in on 2018-10-02 20:35:20, and has shared 7 resources on iSLCollective so far.